Four men were charged with incitement for participating in a demonstration in Manokwari supporting the ULMWP bid for MSG membership. On 20 May, Alexander Nekenem, a West Papua National Committee (Komite Nasional Papua Barat, KNPB) leader, Yoram Magai, Othen Gombo (alias Maikel Aso), who are also KNPB members, and Narko Murib (alias Novi Umawak), a student, were amongst 75 people arrested for taking part in a demonstration in Manokwari in support of the bid by the United Liberation Movement for West Papua (ULMWP) for membership of the Melanesian Spearhead Group (MSG). Demonstrators gathered at 08:00 Papua time but were hindered from carrying out the demonstration by a joint task force consisting of Manokwari police, military and Mobile Brigade (Brigade Mobil, Brimob) officers. Alexander Nekenem negotiated with police to allow the demonstrators to carry out a 20-minute prayer session before dispersing. During the prayer session, demonstrators received word that nine people who were on their way to the demonstration from Kwai, a nearby village, had been arrested.When demonstrators tried to ask the police for an explanation, security forces reacted by arresting Alexander Nekenem. He was beaten with batons and kicked on arrest. Security forces forcibly dispersed the crowd by shooting teargas in their direction. Two demonstrators, Agus Bagau and Marthen Agapa, suffered injuries as a result of being hit by teargas bullets. Local sources reported that in total 75 people were arrested, some of whom were beaten on arrest. The 75 detainees were taken to the Manokwari Brimob Headquarters. 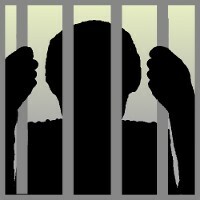 Human rights sources reported that the detainees were subjected to ill-treatment in detention. Police investigators hit some of those detained on the back of their necks and forced those covered in body paint to remove it with paint thinner. Police reportedly threatened that they would remove the paint with grindstones or razorblades if the detainees refused to follow their instructions. The detainees were also reportedly subjected to racist taunts by police officers who said that “All Papuan men are drunks who beat women” and that Papuan women were better off marrying Javanese men “so that their children would be intelligent”. Six of the 75 detainees were separated from the others and interrogated without legal representation. Tribal heads and families who attempted to visit the detainees to give them food were refused access. The following day, on 21 May, 71 of the detainees were released. The six detainees who underwent further interrogation reportedly did not receive any food for two days. Shortly afterwards, two of the six detainees were released. Alexander Nekenem, Yoram Magai, Othen Gombo (alias Maikel Aso), and Novi Umawak (alias Narko Murib) remain in detention. They have been charged with incitement under Article 160 of the Indonesian Criminal Code which carries a maximum sentence of six years. Lawyers reported that their detention at the Brimob headquarters has made access to healthcare, family and lawyers particularly difficult for the four detainees. Lawyers with the Institute for Research, Investigation and Development of Legal Aid (Lembaga Penelitian, Pengkajian dan Pengembangan Bantuan Hukum, LP3BH) argued that the Public Prosecutor in this case, Syahrul, SH, committed contempt of court when he failed to provide sufficient medical care for Narko Murib when their case had been transferred to the prosecution. Murib suffered from stomach complications arising from malaria and tuberculosis. During a court hearing on 9 November, Head Judge Maryono, SH, ordered the Public Prosecutor to ensure that Murib received adequate medical attention after he was unable to attend the hearing due to his poor health. Instead of sending Murib to a hospital, the Public Prosecutor ordered a police officer to give him painkillers and to examine his blood pressure. On 27 November, the four men were sentenced to 1.5 years’ imprisonment each. The prosecution had previously demanded a prison sentence of two years’ each for the detainees.